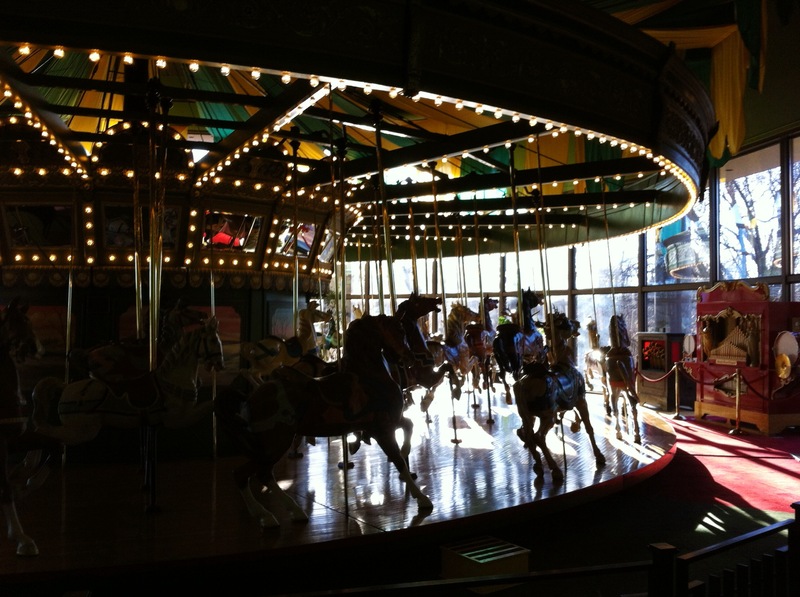 The St. Louis Carousel was built in 1922 and is considered one of the fastest carousels in the world. The carousel is the sole surviving attraction from the Forest Park Highland amusement park that burned down in 1963. In the interests of preservation, a local businessman purchased the carousel and moved it out to the County. 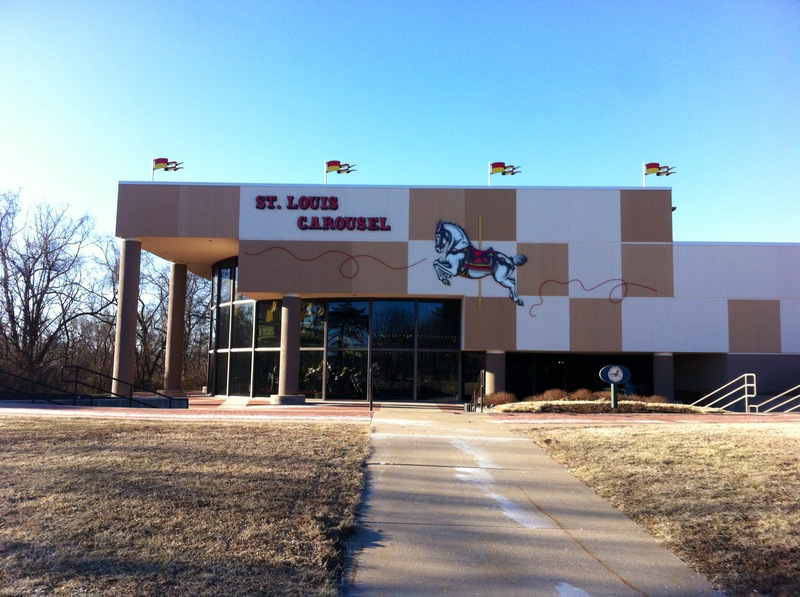 It is currently located inside a building in Chesterfield’s Faust Park (about 300 ft from the #88 Butterfly House). After 3 unsuccessful trips to the carousel, I finally made it at 3:30 on a Wednesday afternoon. Walking into the building, I was greeted by three older ladies who were confused as to why a 22 year old would possibly be at the carousel at 3:30 in the afternoon by himself. After telling them my story, they told me the history of the carousel, they quietly mentioned that it is possible to ride the carousel for $2. Of course, I said yes. After getting on the carousel, they told me that it actually costs them $20 in electric bills to run the carousel and so the park was losing $18 by having me ride the carousel. They still let me ride. One of the ladies flipped the switch and suddenly the carousel lit up and a 1946 Stinson Organ began to play. I sat on one of the deer. The ride lasted for 5 minutes and was very fast, although I have no way of judging whether it is the fastest in the country. Would I say that this is something every St. Louisan must do? Probably not, but someone with young kids can make a great day pairing this with the butterfly house (#88 on the list). 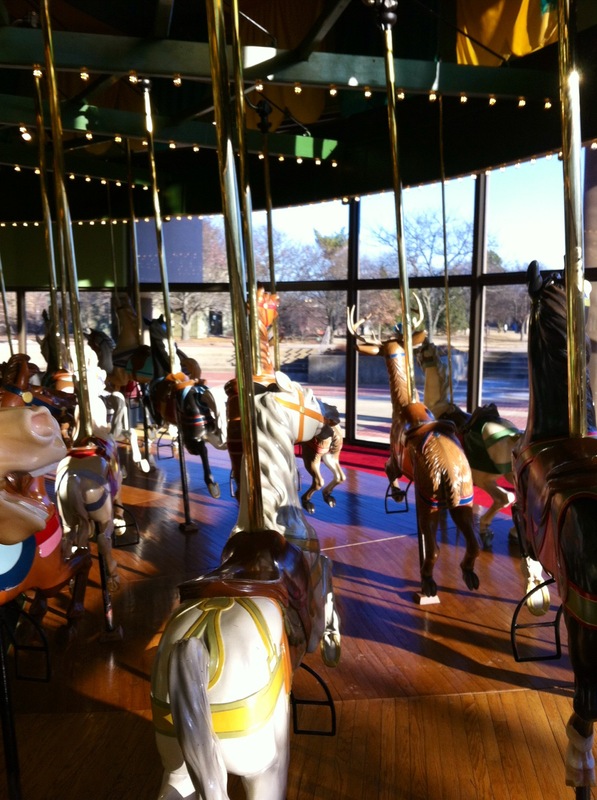 Additionally, anyone who grew up in St. Louis in the 1960’s or before would definitely love to see this historic carousel from their childhood.